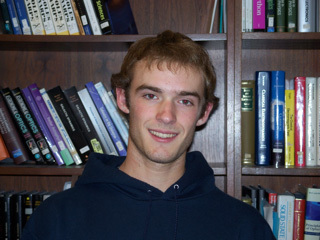 Randy Mehlenbacher received the annual Stoddard Prize for Best Senior Thesis in Physics at the Undergraduate Senior Symposium held on May 11, 2010. 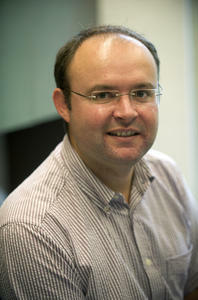 Theoretical Analysis of Anharmonic Coupling and Cascading Raman Signals Observed with Femtosecond Stimulated Raman Spectroscopy, the result of his work with Assistant Professor of Chemistry David W. McCamant, was one of five theses presented at the Symposium. 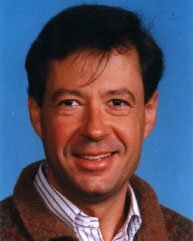 The University of Rochester Students' Association has selected Professor Steven L. Manly of the Department of Physics as the 2009-2010 Professor of the Year in Natural Sciences. All undergraduate students are eligible to vote for this annual award, which honors professors who demonstrate outstanding teaching skills. 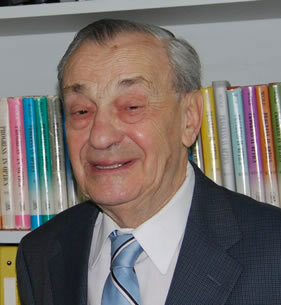 Professor Manly received the award during the 2010 Undergraduate Research Exposition, which he has managed for numerous years. Congratulations to the 2010 graduates of the Department of Physics and Astronomy! 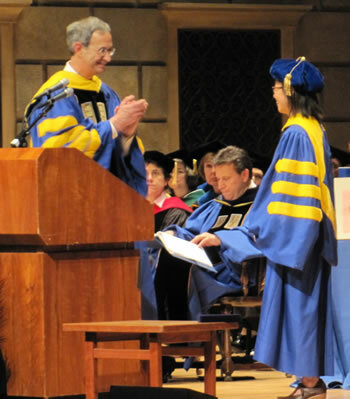 At the Doctoral Degree Ceremony on May 15, 2010, Young-Kee Kim, who earned her PhD in physics at the University in 1990, received the Rochester Distinguished Scholar Award. Kim is the Deputy Director of the Fermi National Accelerator Laboratory (Fermilab), where she leads strategic plan development and implementation, and a professor in the Department of Physics and the Enrico Fermi Institute at the University of Chicago. April 17, 2010 marked the day of the twenty-ninth Annual Rochester Symposium for Undergraduate Physics Students (RSPS), held this year at the University of Rochester. Thirteen University of Rochester Physics students gave formal presentations about their research while three displayed posters. 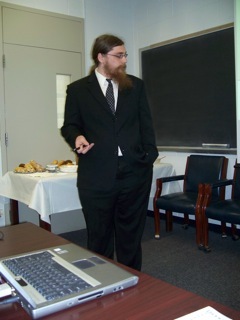 Overall, sixty undergraduates participated by either attending or speaking about their research. Joseph Eberly, Andrew Carnegie Professor of Physics (and Professor of Optics) at the University of Rochester, has won the highest award given by the Optical Society of America: the Frederick Ives Medal. 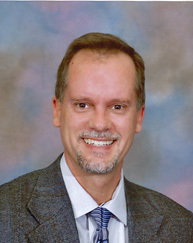 The honor recognizes Professor Eberly's achievements in the field of optics. This March 30th, the highest energy accelerator in the world will begin operating with two beams of 3.5 Tera-electron-volt (TeV) protons colliding head-on, thereby extending the energy frontier deeper into the unknown regions of the Terascale. A group of University of Rochester physicists are among the several thousands who have contributed to designing and constructing the detectors that will collect and analyze the data in these collisions for years to come. Lukas Novotny, Professor of Optics and Physics at the University of Rochester, has been named a Fellow of the American Association for the Advancement of Science, the world's largest general scientific society and the publisher of the journal Science. This year, 531 scholars around the nation have been awarded this honor by AAAS because of their scientifically or socially distinguished efforts to advance science or its applications. 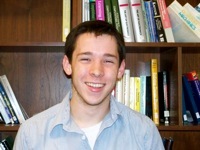 Sophomore Patrick Sheehan, student of Professor Dan M. Watson, has won a prestigius Barry M. Goldwater Scholarship. Endowed by the U.S. Congress to honor the late Sen. Barry M. Goldwater, the Scholarship is designed to provide a continuing source of highly qualified scientists, mathematicians, and engineers by awarding scholarships to college students who intend to pursue careers in these fields.